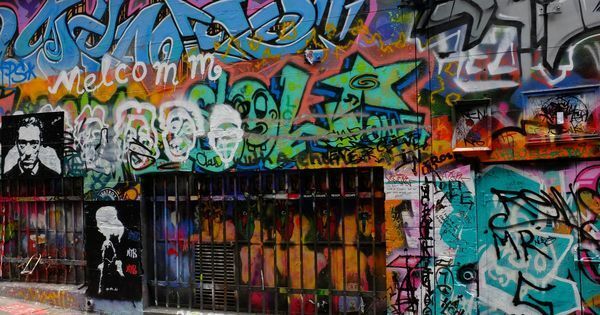 A street art festival that brought artists from around the world to the national capital last month has got locals talking (but a little puzzled). For decades, the buildings of Lodhi Colony in the heart of Lutyens Delhi, have been standard-issue PWD yellow and dull pink. Over the past few weeks, though, the walls of the government residential complex have come alive with pink animals, ochre trees and psychedelic Kathakali dancers. It's clear to residents and owners of small businesses in the area that they're in the middle of some kind of art project. And though they don’t seem to fully understand it, the consensus is that it is all very pretty. 'Dead Dahlias' by Amitabh Kumar, Block 10, Lodhi Colony. (Photograph by Akshat Nauriyal). The mural in question has been inspired by an episode in the Mahabharata in which the Pandavas were exiled to Khandavaprastha or the city of ruins after Yudhisthira lost a game of dice. Krishna had then worked his magic to turn the area into beautiful Indraprastha, a city that even the gods were envious of. 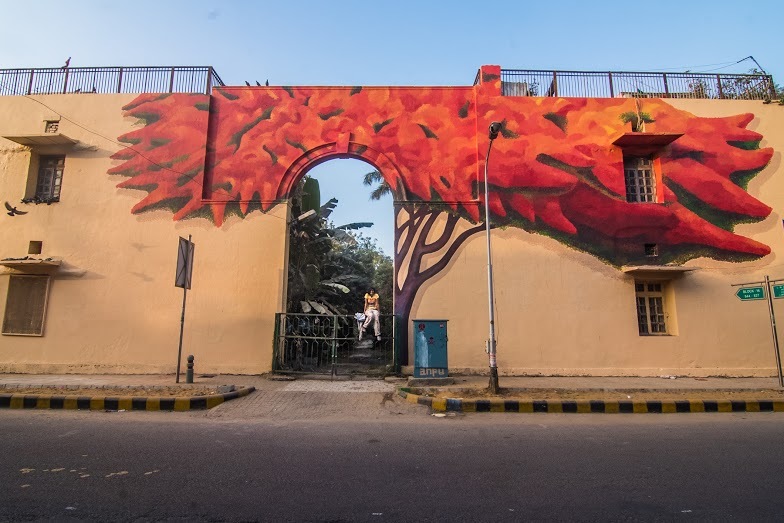 Dead Dahlias is just one of the many murals that have transformed the quiet tree-lined lanes between Lodhi Colony’s posh Meherchand Market and Khanna Market into a massive open-air art gallery for the past few years. Street art projects have been organised in this area before. 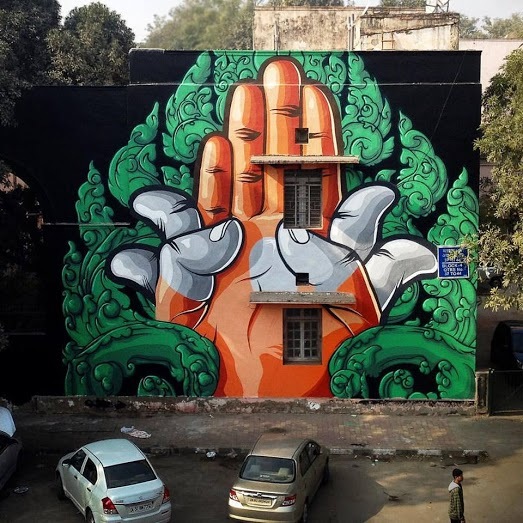 But this year, several murals have been painted as part of a project titled Lodhi Art District organised by a non-profit organisation called the St+Art India Foundation, in association with Asian Paints. 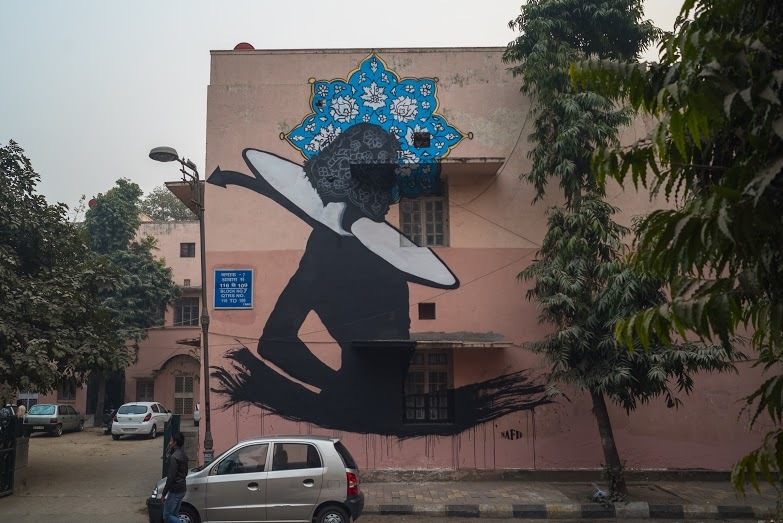 This year’s edition saw 24 artists from all over the world working on two projects – the Lodhi Art District project in central Delhi, and another called WIP or Work In Progress at the Inland Container Depot in Tughlakabad in South Delhi. The festival opened to the public on February 1 and concludes on March 6. 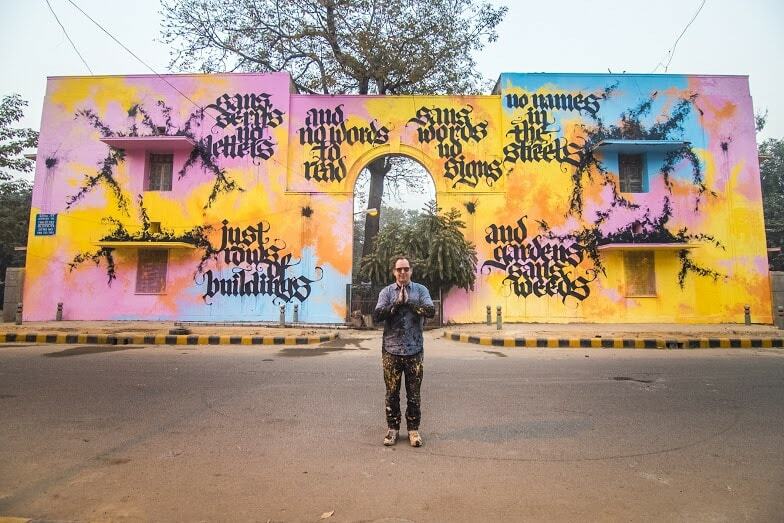 The artists used as their canvases the discoloured walls of government housing in Lodhi Colony, and 100 shipping containers at the container depot. 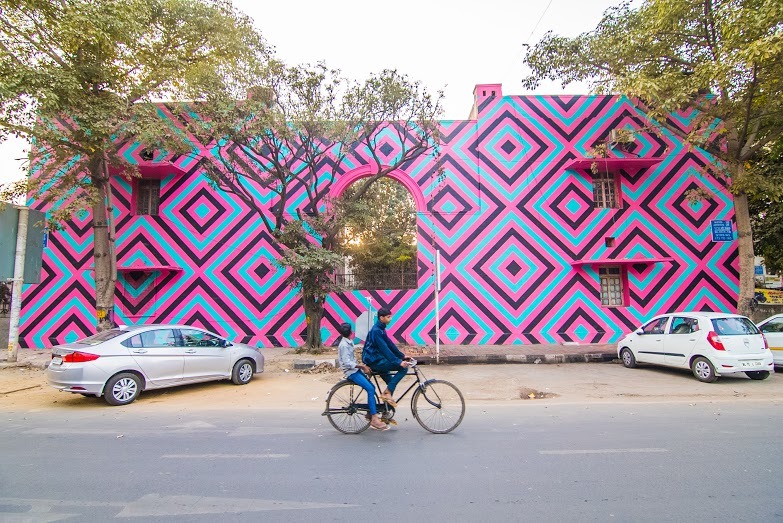 While the bright, larger-than-life murals in Lodhi Colony will continue to grab the attention of locals and passersby well after the festival concludes, the painted containers will soon travel across India transporting goods, literally taking art to the masses. One of the double-storey murals in Lodhi Colony is a hand (or a lotus, or both) emerging out of a black and green background. This is the work of French artist Chifumi, who is inspired by Cambodian art. 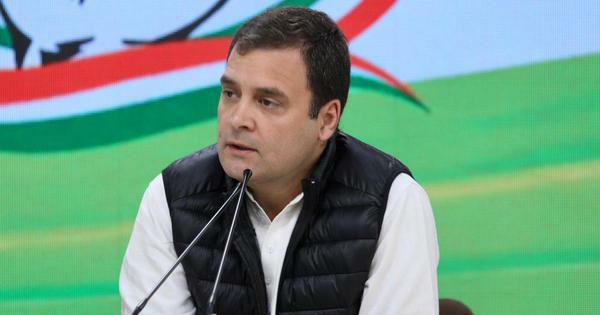 A man waiting in a car nearby joked that it reminded him of the Congress party’s symbol. A group of young girls at a coffee shop in Meherchand market, right across the street from Australian artist Reko Rennie’s bright pink and blue geometrical piece titled Original Aboriginal, said they hadn’t seen all the murals in the area. 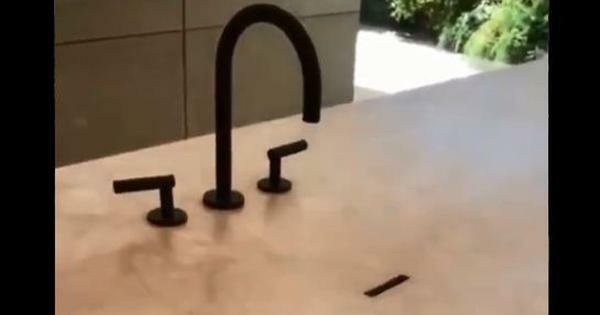 But one of them had a favourite. “It’s the one of Rani Jhansi right around the corner,” said Moulishree Sen Gupta, 20, referring to a piece of work by Japanese street artist Lady Aiko, which was created during another street art festival last year. Those familiar with the artwork wish they understood it better. “Lodhi has always been beautiful to me and the art is adding so much colour to the area,” said Lodhi Colony resident Amrita Sharma, 43. She added that she wanted to take the walking tour being conducted by St+Art to really understand the murals. Here, meanwhile, are nine more murals from the 2016 edition of the Lodhi Art District project that viewers can look forward to. Located opposite a maternity hospital in Lodhi Colony, Spanish artist Borondo's mural, The Origin Of The World, plays with the concepts of life and birth and attempts to depict the journey of a child from a mother's womb to the world. 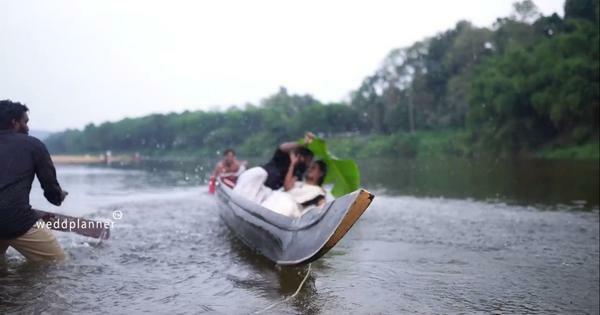 The arch in the middle with the tree emerging from it becomes a metaphor for birth, while the boat floating on the river flowing between the columns on the right signifies life and the journey that the child must begin. 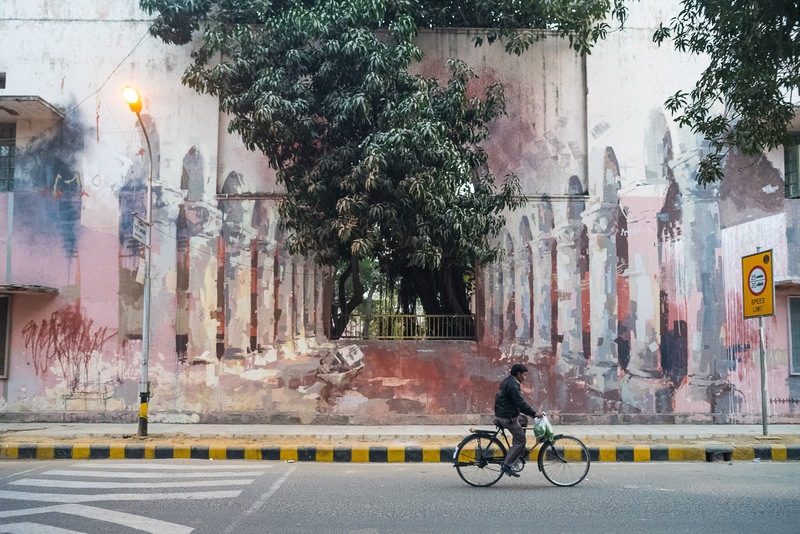 'The Origin Of The World' by Spanish artist Borondo, Block 11, Lodhi Colony. (Photograph: Naman Saraiya). Are those blazing autumn leaves, or flowing hot lava ready to consume the entire building? The Delhi-based Anpu Varkey, famous for her cat stencils, leaves it to the viewer to decide. 'Lava Tree' by Anpu Varkey, Block 14, Lodhi Colony. 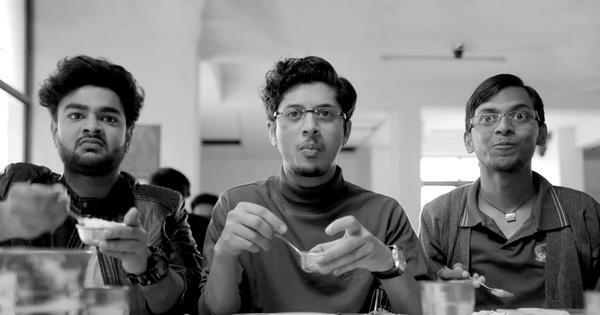 (Photograph: Akshat Nauriyal). Titled Original Aboriginal, Australian artist Reko Rennie uses Aboriginal geometric patterns in this mural to give the area a lively colourful look. Australian artist Reko Rennie's 'Original Aboriginal', Block 10, Lodhi Colony. (Photograph by Akshat Nauriyal). For this mural, French artist Chifumi played with the padma, a hand gesture from Indian classical dance, and infused it with a Khmer pattern from Cambodia. 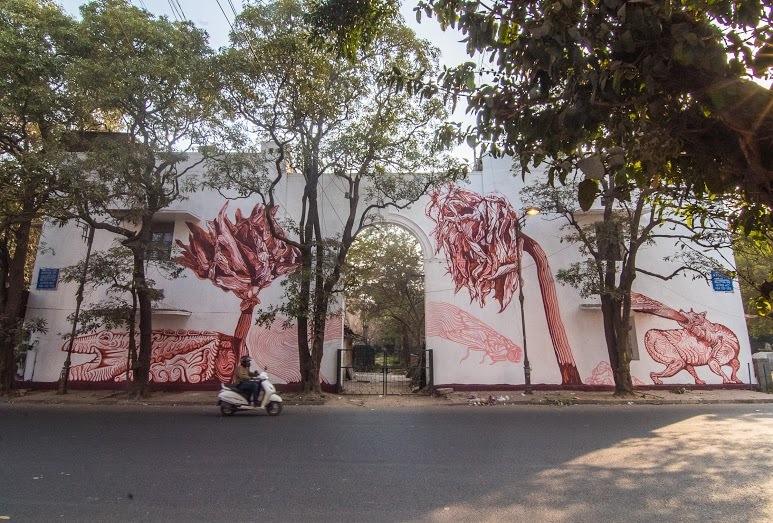 Mural by French artist Chifumi, Block 4, Lodhi Colony. (Photograph by Akshat Nauriyal). 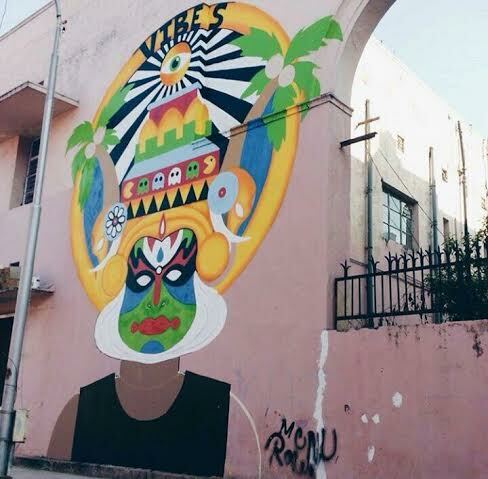 Raman said his mural of Kathakali masks is a fusion of India's traditional and pop culture. The aim was to portray the relationship between negative and positive energies using his choice of colour, he said. "Kathakali is a visual art form," he said. "It has a narrative but doesn't use any words and that is the idea I want to put forward in my work." Mural by Harsh Raman between Blocks 6 and 9, Lodhi Colony. Iranian artist Nafir's Don't let this symbolism kill your heart is about women's rights in West Asia. 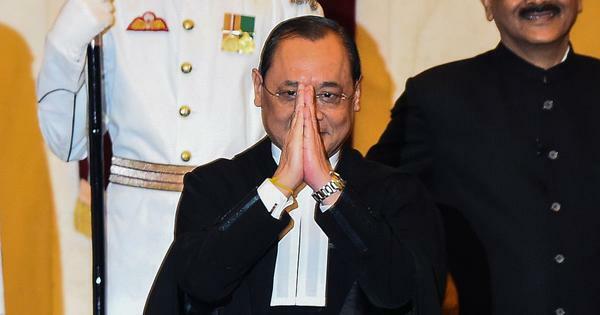 He feels that both India and Iran relegates its women to the shadows. Hence his work is a silhouette of a woman subjugated in the name of culture and tradition. Mural by Iranian artist Nafir, Block 7, Lodhi Colony. (Photograph: Naman Saraiya). Don't miss the astronaut on top of Swiss duo Nevercrew’s mural of a colourful meteorite. For Nevercrew, the astronaut represents someone who can see the larger picture, or look at things from a different perspective. 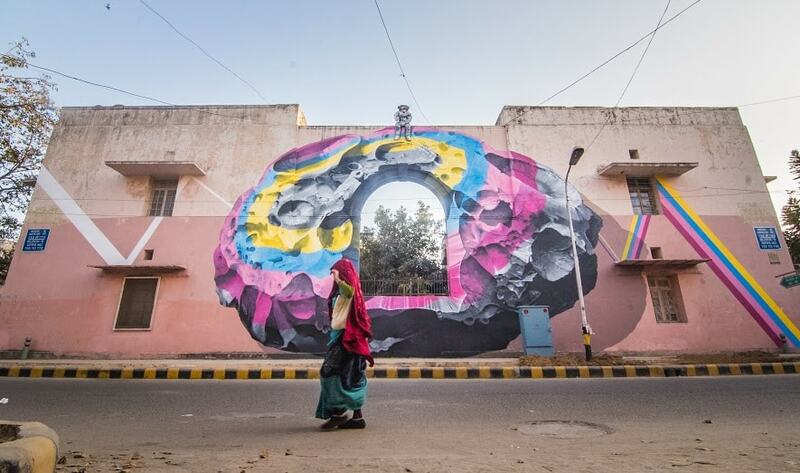 Art by Nevercrew, block 9, Lodhi Colony. (Photograph: Naman Saraiya). Niels Shoe Meulman's work of "calligraffiti", an art form he pioneered, is especially interesting as the Dutch artist combines calligraphy and graffiti to create a mural that includes a poem he wrote. Art by Niels Shoe Meulman, Block 11, Lodhi Colony. (Photograph: Akshat Nauriyal). 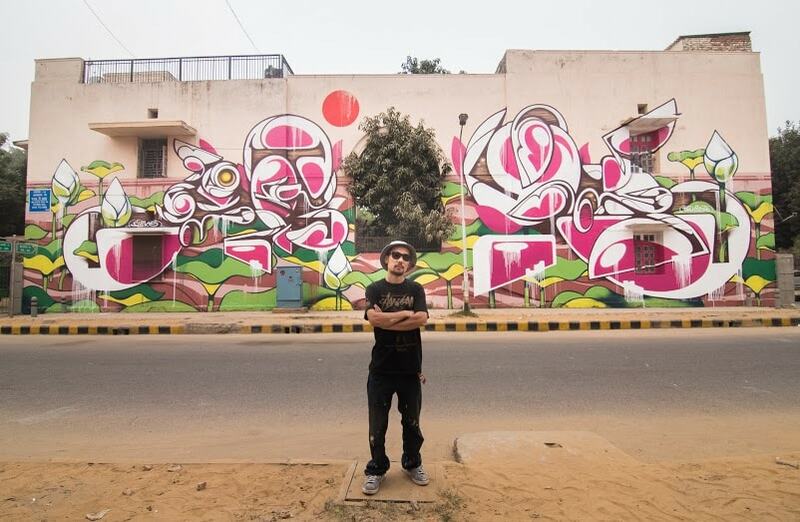 Japanese artist Suiko re-imagines the lotus – the national flower of India – while branding the mural with his signature in Japanese characters. Art by Japanese artist Suiko, Clock 14, Lodhi Colony. (Photograph: Akshat Nauriyal).